The Supreme Court has struck down stringent conditions imposed by the Maharashtra government to obtain licences for dance bars, paving the way for such establishments to be opened in Mumbai and other cities. The Indian Navy has detected a body in a coal mine in Meghalaya where 15 miners were trapped since December 13. The body was found at a depth of more than 200 feet. Two women in their early forties who were the first to enter the Sabarimala temple in Kerala have moved the Supreme Court seeking security and police protection. The court will hear their petition on Friday. A Central Bureau of Investigation court in Haryana’s Panchkula on Thursday sentenced Dera Sacha Sauda sect chief Gurmeet Ram Rahim Singh to life imprisonment for ordering his followers to murder a journalist. Bahujan Samaj Party chief Mayawati on Thursday lashed out at those who criticised her party after a video of her birthday celebrations in Uttar Pradesh’s Amroha went viral the day before. Rajasthan Governor Kalyan Singh on Thursday accused the Vasundhara Raje government of getting “distracted” from vital issues while attempting to find faults with its predecessor Congress regime. A teenager who was murdered in Bihar’s Gaya was not raped, police said on Thursday after receiving the autopsy report. Police officials also ruled out the possibility that the murder had been an “honour killing”, although the girl’s father and his friend are in custody. Two passengers were killed and 20 were injured in Odisha’s Mayurbhanj district on Thursday when their pick-up van overturned. The India Meteorological Department has predicted that weather conditions in Kashmir Valley will improve on Thursday and Friday, a day after most parts of the valley received light to heavy snowfall, causing the cancellation of 23 flights at Srinagar airport. The Supreme Court on Thursday asked the Lokpal search committee to recommend names for the office by the end of February. A three-judge bench led by Chief Justice of India Ranjan Gogoi asked the Centre to provide the search panel the infrastructure and manpower to help it complete its work. 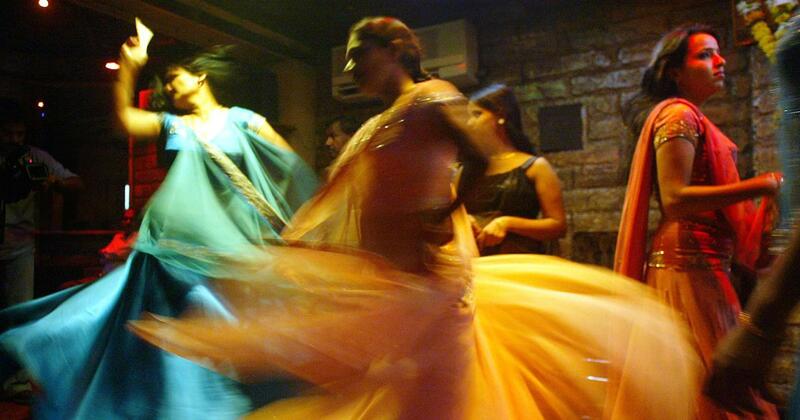 The Nationalist Congress Party on Thursday criticised the Maharashtra government after the Supreme Court struck down some stringent rules related to dance bars in the state, and said there cannot be a complete ban on such establishments. Party spokesperson Nawab Malik claimed that the Bharatiya Janata Party-led government had presented a “weak side” before the Supreme Court, because of its “nexus” with the association of dance bar owners. Justices Dinesh Maheshwari and Sanjiv Khanna will take oath as judges of the Supreme Court at 10.30 am on Friday at the court of Chief Justice of India Ranjan Gogoi. Maheshwari is the chief justice of the Karnataka High Court, while Khanna is a judge of the Delhi High Court. Three police officials were injured when suspected militants hurled a grenade at security forces in Jammu and Kashmir’s Srinagar on Thursday. An assistant sub-inspector and two traffic police officials were injured in the grenade blast near Zero Bridge in Rajbagh area. Dravida Munnetra Kazhagam chief MK Stalin on Thursday said he will attend a rally led by the Trinamool Congress in West Bengal’s capital Kolkata on Saturday. 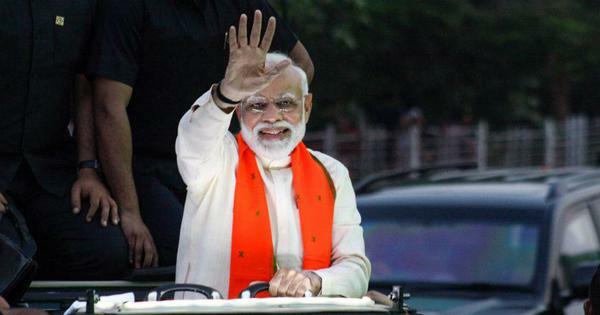 Several leaders are expected to participate in the rally, which is being seen as an effort to unite the Opposition against the Bharatiya Janata Party. Union Finance Minister Arun Jaitley on Thursday said a new class of “compulsive contrarians” had emerged who have no qualms in “manufacturing falsehood” and who believed that the government could do no good. Dairy company Amul has issued a legal notice to Google India in connection with fake advertisement campaigns that miscreants ran on its platform. The advertisements used Amul’s name and lured people to do business with the Gujarat-based firm. Manipur Chief Minister N Biren Singh on Wednesday said the state government led by the Bharatiya Janata Party would oppose the Citizenship (Amendment) Bill unless there was a provision to protect the indigenous people of the North East. Mizoram on Thursday banned the import of pigs, hoping to prevent an outbreak of porcine reproductive and respiratory syndrome, a swine disease. Three labourers died on Wednesday after inhaling toxic gases while cleaning a chamber of a sewage treatment plant in Mumbai’s Mira Road. One labourer is undergoing treatment at a hospital and his condition is critical. The two women in their early forties who had become the first to enter Kerala’s Sabarimala temple earlier this month have moved the Supreme Court to seek security and police protection. The top court will hear their petition on Friday. The Supreme Court on Thursday relaxed the conditions imposed by the Maharashtra government to obtain licences for dance bars, paving the way for such establishments to be opened in Mumbai and other cities. India and Pakistan exchanged gunfire along the Line of Control in Jammu and Kashmir’s Poonch district on Thursday. The National Investigation Agency on Thursday carried out searches at eight places in western Uttar Pradesh and Punjab in connection with its inquiry against a suspected Islamic State-linked module that was busted last month. The raids are reportedly under way. Armed men entered the Jammu-Delhi Duronto Express on Thursday and allegedly robbed several passengers at knifepoint on the outskirts of Delhi. Authorities were alerted about the incident only after a passenger lodged a complaint with the railways’ complaints portal. 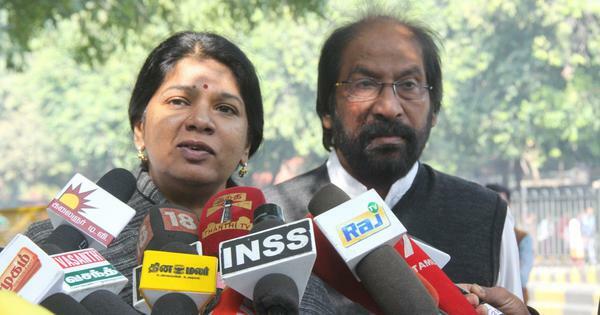 Two former students of Jawaharlal Nehru University, who were members of the Akhil Bharatiya Vidyarthi Parishad, on Wednesday questioned the timing of the chargesheet filed against students of the university in a sedition case from 2016. The National Green Tribunal on Thursday directed German car manufacturer Volkswagen to deposit Rs 100 crore by 5 pm Friday in connection with an emissions case or face punitive action. Video streaming services such as Netflix and Hotstar have decided to adopt self-regulatory methods to avoid potential government censorship. Bharatiya Janata Party leader and Bihar Deputy Chief Minister Sushil Kumar Modi has advised party colleague and MP Shatrugan Sinha, who has been a vocal critic of the party, to quit if he is unhappy. The Centre on Wednesday announced the winners of the Gandhi Peace Prize for 2015, 2016, 2017 and 2018, after a gap of four years. The Maharashtra Police have arrested a local leader of the Bharatiya Janata Party in Thane district and recovered around 170 weapons, including air guns, swords, and knives from his shop. Dhananjay Kulkarni, who is the vice-president of BJP’s Dombivli unit, was arrested on Tuesday. India on Wednesday summoned a Pakistan High Commission official to lodge its protest against the death of an Indian civilian in “unprovoked” firing in Jammu and Kashmir’s Sunderbani on January 11. The Ministry of External Affairs described it as a violation of the 2003 ceasefire agreement between the two countries. The Indian Navy has detected a body in a coal mine in Meghalaya’s East Jaintia Hills where 15 miners were trapped since December 13. The body was found at a depth of more than 200 feet. A remote operated vehicle of the Navy spotted the body, according to an official. Vishnu Hari Dalmia, former president of the Vishwa Hindu Parishad and a noted industrialist, died on Wednesday. He was 91. Dalmia had not been keeping well and was admitted to a hospital for age-related ailments. The Congress in Karnataka on Thursday called for a meeting of its legislature party on January 18 amid allegations of horse-trading. The development follows a claim by the Congress party that five of its lawmakers were lured to a Mumbai hotel by the Bharatiya Janata Party. 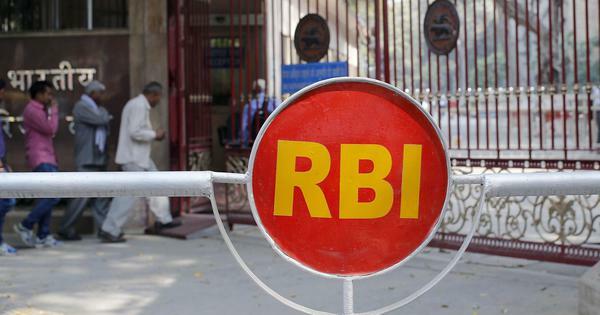 Research scholars from across the country staged a protest outside the Union Human Resource Development Ministry in New Delhi on Wednesday demanding an increase in their fellowship allowances. While the police claim the protest was peaceful, a report quoting unidentified officials said 700 protestors were detained and sent to two police stations. Bharatiya Janata Party national President Amit Shah on Wednesday announced that he is undergoing treatment for swine flu. The BJP leader is undergoing treatment at the All India Institute of Medical Sciences in New Delhi. The Centre on Wednesday said Information Technology company Infosys will develop a new income tax filing system, at a cost of Rs 4,241 crore, for the government. This will enable tax returns to be processed within a single day instead of 63 days, as at present.